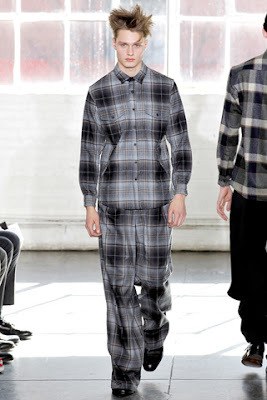 With their most recent presentation, Steven Cox and Daniel Silver, the duo behind Duckie Brown, offered the usual tour of the next level on which they’re operating. 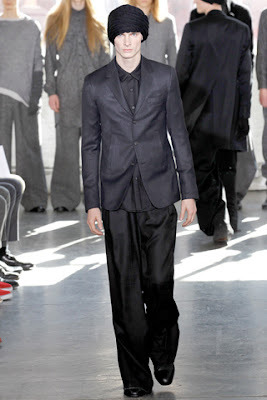 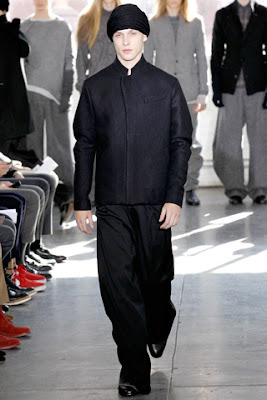 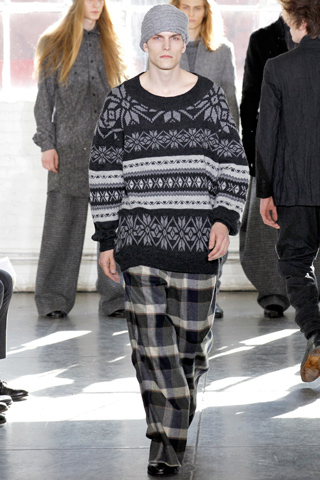 It was a collection full of juxtapositions—in silhouettes, proportions, patterns and textures. 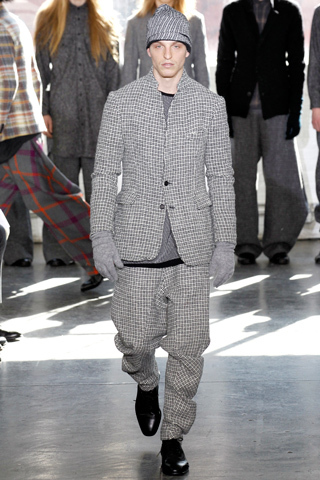 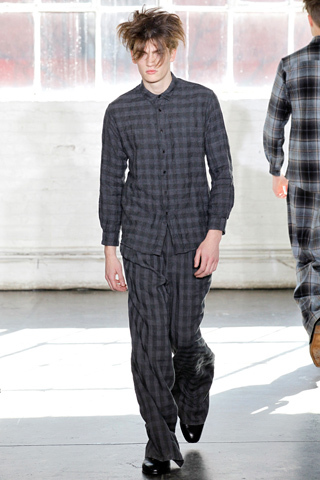 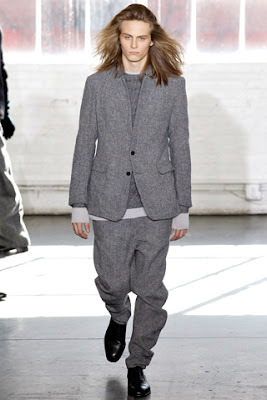 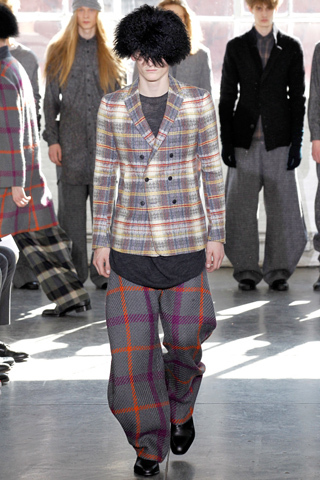 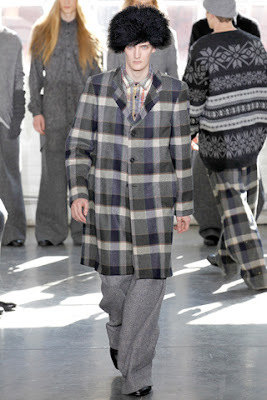 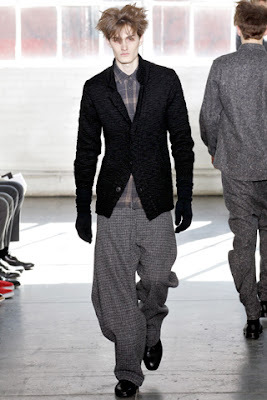 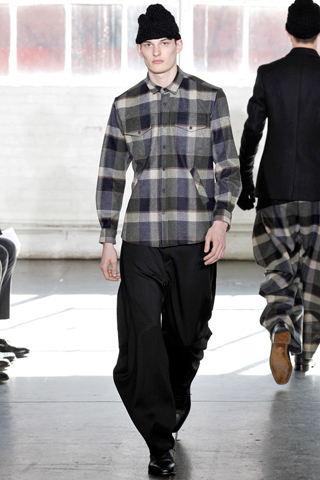 Buffalo check, wide-pleated trousers billowed beneath trim-fitting tailored jackets in Fair Isle and tweed herringbone. 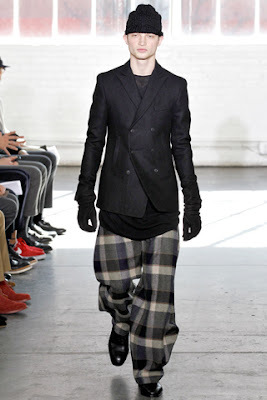 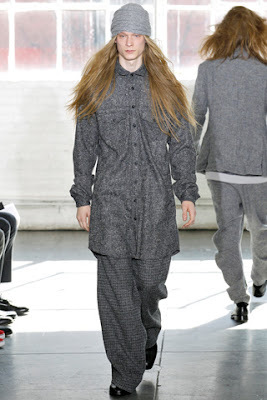 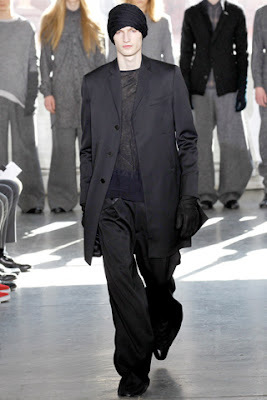 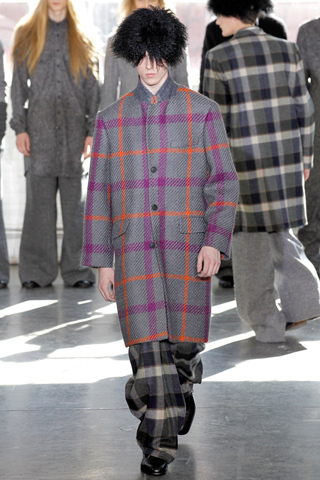 While the palette was primarily somber blacks and grays, including a fair amount of dark barathea, there were splashes of orange and purple in the form of an “exploded” plaid overcoat and oversized trousers. 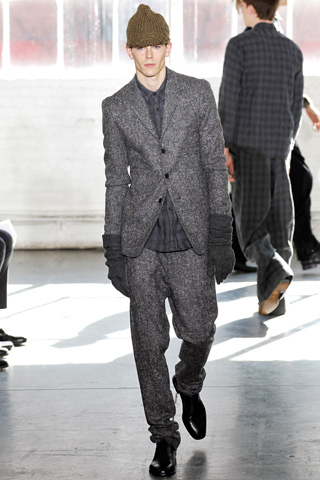 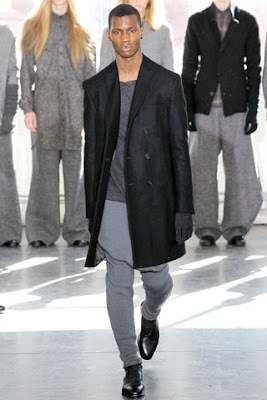 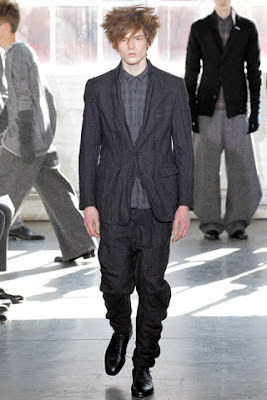 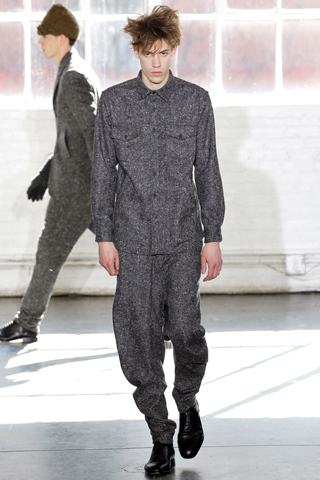 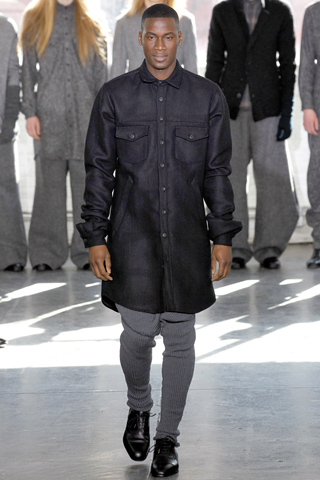 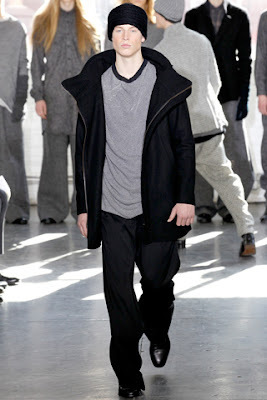 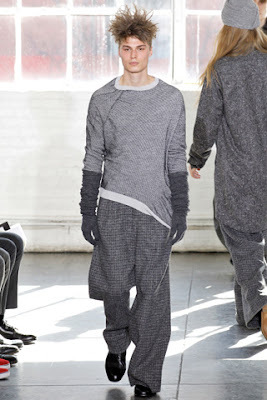 Designer Steven Cox calls the look “hiking-evening,” which makes perfect sense in the Duckie landscape.